Police, prosecutors and judges in Columbus Ohio put great stock in sobriety tests when making arrests and holding trials on charges of operating a vehicle while intoxicated (OVI). The tests and their results are far from infallible, however. Several factors can influence how each assessment of impairment due to alcohol or drug use is performed and interpreted. Discussing all the options for an OVI defense will require sitting down with an experienced Columbus Ohio OVI attorney. Here are just a few insights into how sobriety tests done by the side of the road and in a medical facility can produce unreliable and inadmissible information that should not be used to secure a conviction. Ask most people to describe a traffic stop for suspicion of driving under the influence, and they will conjure images of the suspect walking a straight line, standing on one leg, and letting a police officer track their eye movements with a penlight. 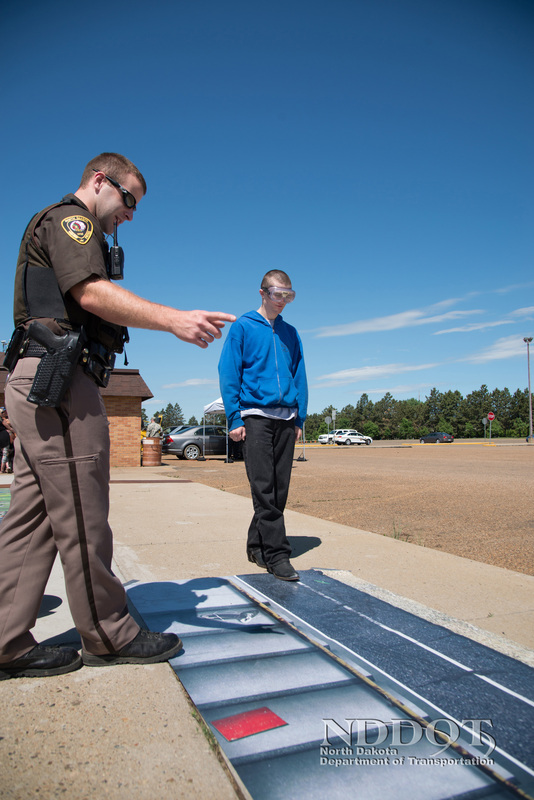 Failing any of these stereotypical field sobriety tests will lead to an arrest. The problem with this scenario is twofold. First, despite required training and regular recertification for police officers, no truly objective standards exist for judging a DUI/OVI suspect’s performance. Second, a medical dictionary’s worth of physical and mental conditions can make passing one or more the most commonly administered field sobriety tests impossible. Problems as common as hearing loss, lazy eye, and obesity can lead to failure. Not following an officer’s instructions exactly can get an OVI suspect arrested even if the error consisted entirely of misunderstanding what was required. Losing balance after just a few seconds while holding a leg in the air can land a person in jail. The long-lasting effects of a traumatic brain injury that produces no obvious outward symptoms can cause a person to process instructions incompletely, experience random eye movements, and have poor balance. For such reasons, exercising your right to refuse an officer’s request to take part in field sobriety tests often makes sense. Challenging evidence from field sobriety tests on the grounds that you would fail almost any time, drunk or sober, also makes sense when medical and/or psychological records support doing so. Several prescription medications can induce side effects that mirror being drunk or high. Examples include opioid painkillers like Vicodin and stimulants like Ritalin that are used to control attention-deficit/hyperactivity disorder. We discuss this in more detail on our webpage dedicated to types of prescription drugs that can cause a DUI charge. The lesson to take home is that presenting evidence of taking medications for legitimate therapeutic purposes can counter laboratory tests that show high concentrations of drugs in an OVI suspect’s blood and urine. To learn more about which factors can affect sobriety tests, schedule a consultation with an experienced Columbus Ohio OVI attorney from The Maher Law Firm online or call (614) 205-2208.